A typical day on the river runs about eight hours for a full day, and four hours for a half day. 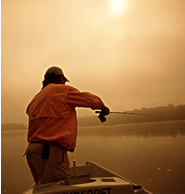 A day starting early will find you fishing top water for the first few hours. As the sun climbs and the day warms you will find the smallmouth moving to the cool riffles and pools. 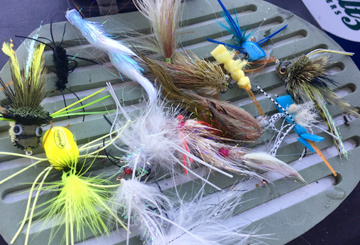 During this time you will be fishing a variety of nymphs and streamers. About mid-day we take a break for lunch, and then resume probing the riffles and pools with streamers and nymphs, ending in the early afternoon. On a day starting later will find you probing the different river structures with a variety of nymphs and streamers. With a break for lunch, we will continue with nymphs and streamers. As evening approaches the smallmouth’s will start feeding on the surface, where you will use a variety of dry flies and poppers, ending your trip at dark. 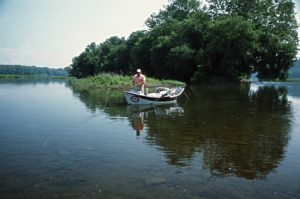 Our trips are float trips, so we can stop and wade to fish the different river structures more effectively. 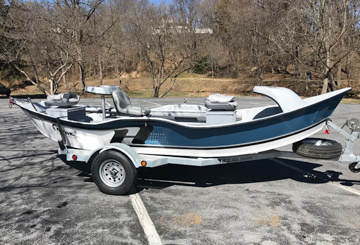 Our float trips are run with our Hyde 16′ low profile xl drift boat. And, when water conditions permit, we also run a jet boat. 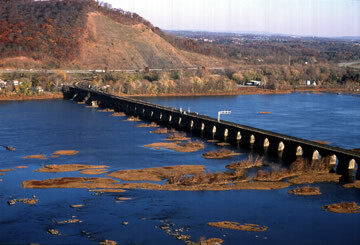 A stunning view of the Rockville Bridge, the longest stone arch bridge in the world! All our trips include water transportation, equipment (if needed), and instruction. Lunch is included on a full day trip. We provide a limited selection of the best working patterns for your trip. Check with your guide when you book as to what patterns are working at that time of the season. Make your reservations as soon as possible to secure the date you want. We require a 50 percent deposit when you book your trip. June and July – Smallmouth are adjusting to their summer habits. Mayflies bring exciting surface action. From late July into early August, the white fly appears. This is dry fly fishing at its best. August – Shady shoreline and rocky areas provide daytime action. The white fly continues providing evening feeding. 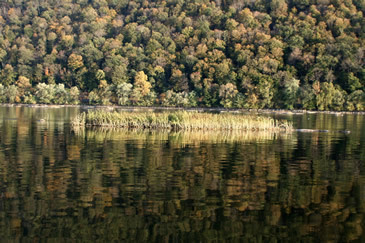 October – Smallmouth are at their prime. This is a good month for trophy smallmouth. The Susquehanna River harbors spectacular scenery and structure you might encounter.